Several doctors who were working in east Aleppo before the current siege have expressed their willingness to go back to the conflict-ravaged northern Syrian city to try to save the lives of the many people being wounded daily if a safe passage is put in place. The beginning of the siege in July by the Syrian army and its allies took a number of these medics by surprise in Turkey. “They observe now with deep sorrow the deterioration of the crisis, unable to help a population in dire need. As far as we know, several doctors have expressed their willingness to go back as soon as possible if a humanitarian corridor is created,” said Carlos Francisco, MSF’s head of mission for Syria. The photos were taken on October 5 in east Aleppo. “Patients have limited access to healthcare in the few remaining partially functioning hospitals. Doctors are exhausted, working around the clock to treat the huge influx of injured,” Francisco added.Between 6 and 8 October alone, hospitals in east Aleppo reported at least 98 wounded, including 11 children, and 29 people killed by the airstrikes. The photos were taken on October 5 in east Aleppo..
“There is no time to waste. 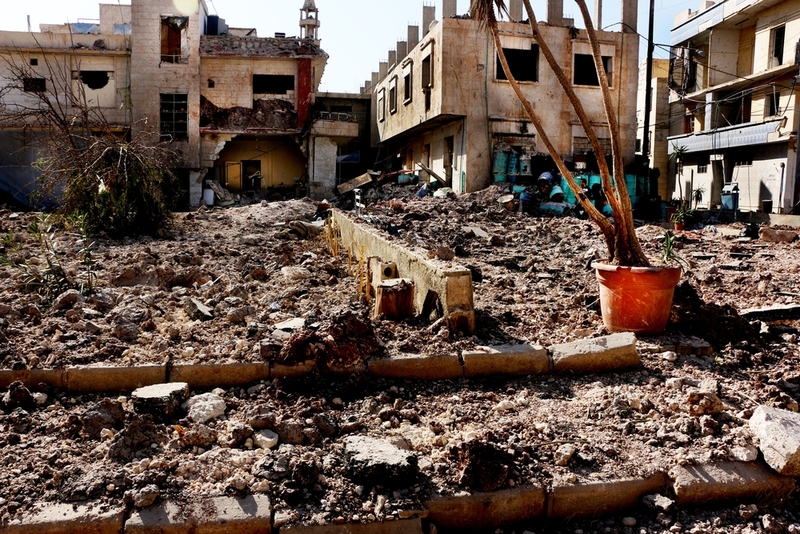 Russia and Syria must stop the indiscriminate bombing now and abide by the rules of war to avoid the extreme suffering of the unprotected civilian population,” said Pablo Marco.MSF supports eight hospitals in East Aleppo city.